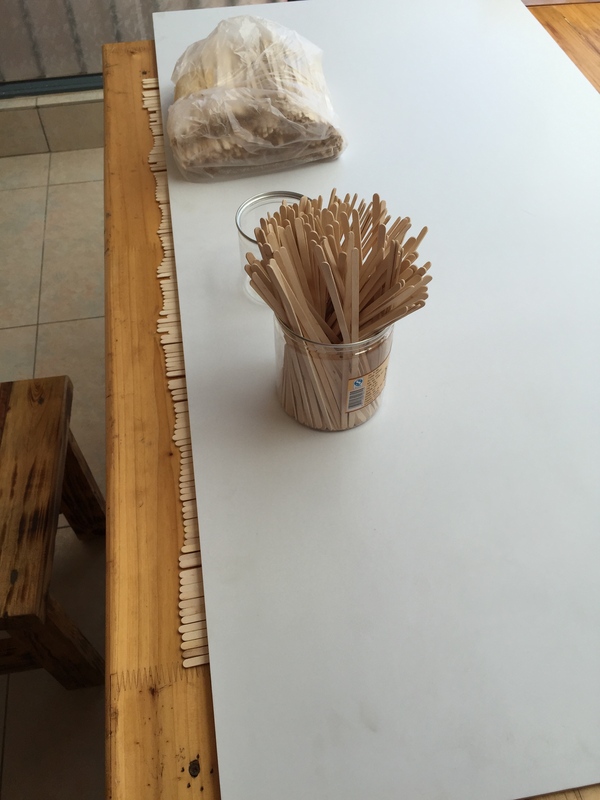 I received my order of 1,000 Starbuck’s wooden stir sticks to make the wood plank flooring. Good thing it was that much since more than half the sticks are wonky in some way, not straight or not flat. After sorting enough sticks for the floor, I weighted them down with a board so that they could flatten even more (it’s the rainy season right now in Kunming, China) so the humidity should have some positive effect. As for the knock-off PaperClay, it’s fine. It dried well, it stuck to the board and it only shrank a little. No cracking, which is a good thing. I’ve decided when I start to do the brick walls, I will do sections horizontally. Need to measure off the horizontal rows and use my long metal ruler to carve the horizontal lines of bricking. Then go on to carve the vertical lines for the brick. 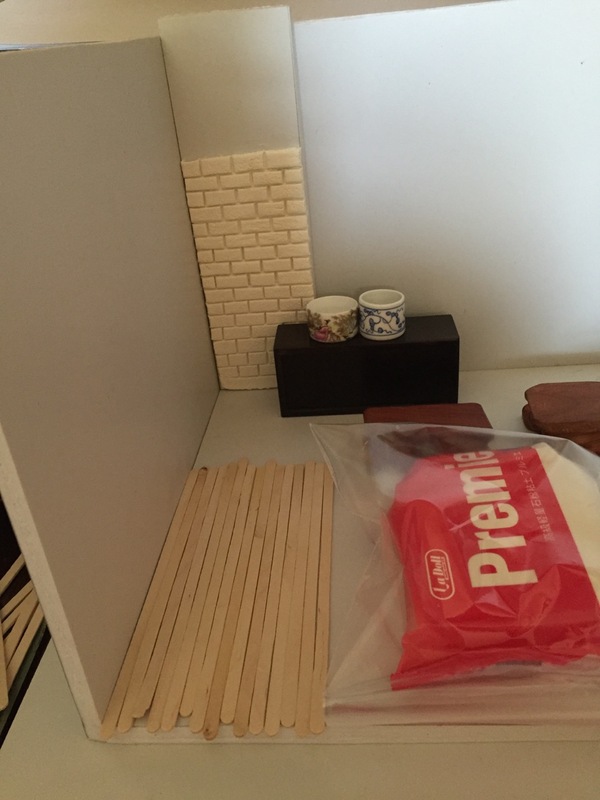 My bricks will be 1″ x .25″ and will simulate the Beijing brick which is longer and thinner than Western bricks. 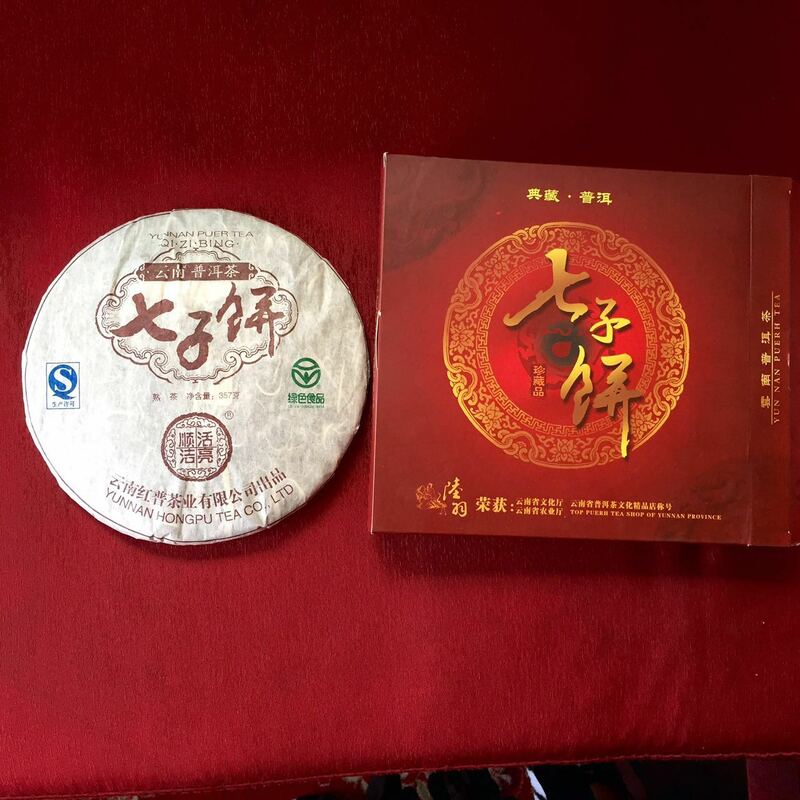 Then I also need the Pu’er Tea Cakes that are wrapped in tissue paper with a round label. 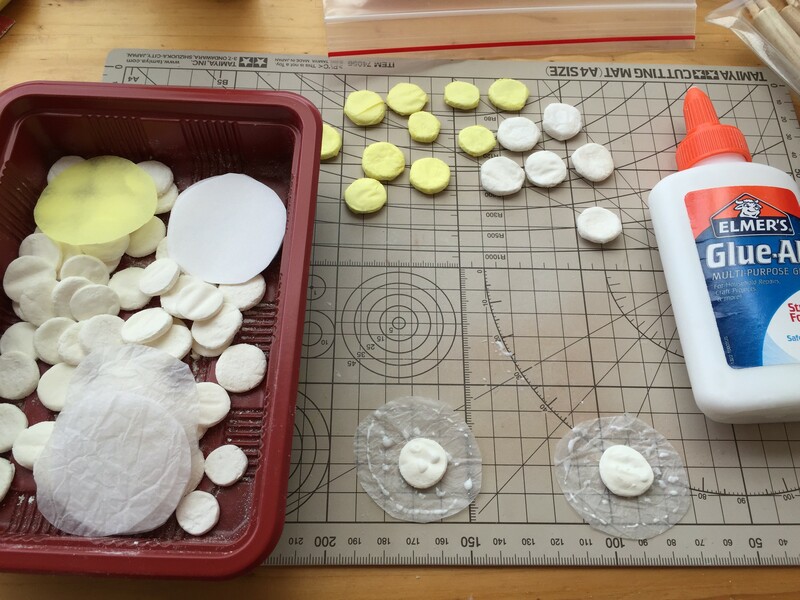 I’m trying out different colours and textures of fine tissue to see what’s the most realistic. So much to do! I’ll keep you posted. Posted on Tuesday, August 11, 2015, in Friends, In the News, Interior Design, Miniatures and tagged Chinese Tea House, dollhouse miniatures, miniatures, Plank flooring, Pu'er Tea Cakes. Bookmark the permalink. 4 Comments. Thanks Dianne! I’m on a roll! Fun to see the progress… I love the bricks… but have to admit… I have never noticed brick in oriental buildings before! Thought they were all wood! Grey brick on most hutong buildings….only red for the Emperor in ancient times.